Much art exists celebrating Stations of the Cross; much less celebrating Stations of the Resurrection. 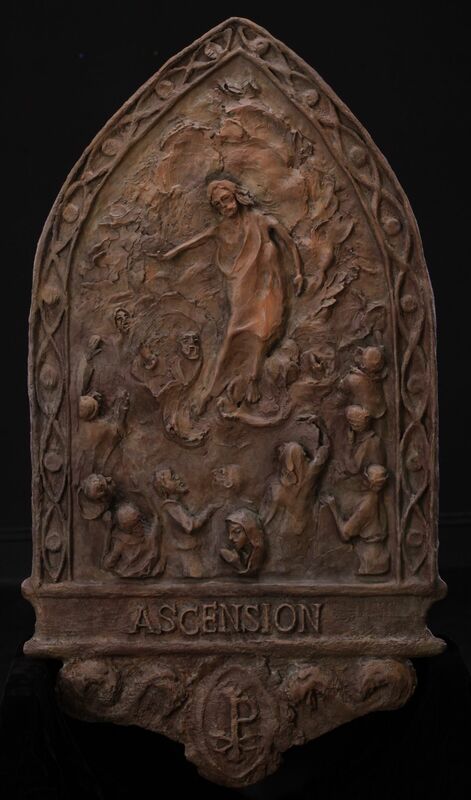 The Ascension depicts Jesus rising in swirling firmament. All disciples (except Judas) are present, as well as Mother Mary, who does not look upward. The icon at the bottom is one of the first emblems of Christianity, Chi Rho.